A portion of video is shown here. The Prince George’s County Fire/Emergency Medical Services (EMS) Department’s Office of Community Risk Reduction and Outreach (CRRO) has a new tool to help educate students, residents and citizens about safety measures to help escape a burning house. The department is taking advantage of the popular “Burning House” song by country artist and songwriter, CAM, which describes a dream she had about a broken relationship. Permission to use “Burning House” was obtained from Sony Music – Nashville, who is allowing the department to use the song and video only in Prince George’s County. The department’s video “Surviving a Burning House” plays the song in the background as images of burning houses and fire apparatus appear in the video. Fire safety messages appear at intervals, promoting working smoke alarms, planning and practicing an exit drill in your home, and encouraging staying out of a burning house once you are out. CRRO staff has used the video during school fire safety and injury prevention visits and has received an overwhelming positive response. “When you receive dozens of questions from students and staff after viewing the video, it indicates the video evoked emotion and interest,” said Teresa Crisman, CRRO coordinator. “The ‘Surviving a Burning House’ video uses real images of real fires that recently occurred in Prince George’s County while playing the ‘Burning House’ song, which appears to highly interest viewers, and when we interject our safety messages, it really becomes a powerful teaching instrument,” added Crisman. A copy of the “Surviving a Burning House” video was forwarded to her to watch. The department’s “Surviving a Burning House” video will not be available on the Internet or social media per agreement with Sony Music – Nashville. The video can be viewed only in Prince George’s County, Maryland. The video can be seen on Prince George’s County Public Safety access channels as well as on digital signage monitors located in most county buildings. Verizon channel 39 is up and running and Comcast/XFINITY channel 69 will start airing soon. The department will also make the video available, upon request, to any group in Prince George’s County including schools, town hall meetings and at community events. Please call the CRRO office at 301-883-5250 for further details. 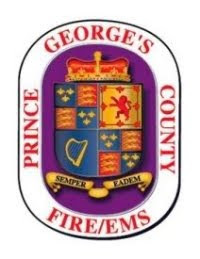 The Prince George’s County Public Safety Access channel is available 24 hours a day and provides safety and prevention tips from all of your public safety agencies. The Prince George's County Fire/EMS Department encourages you and your entire family to tune in to your cable providers Verizon, channel 39, and Comcast/XFINITY, channel 69 to watch the entire video and to learn the proper safety procedures should you ever find yourself amongst a burning house.